Hva er Gloves In A Bottle? Hvorfor Gloves In A Bottle? Hva er en Shielding Lotion? Tørker hånddesinfeksjon ut huden din? 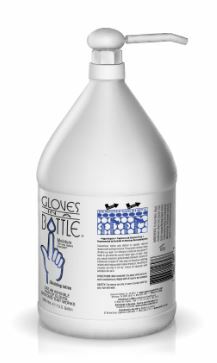 Vis handlekurv «Gloves In A Bottle 240 ml 2-pakning» er lagt til handlekurven din. Shielding Lotion is a new technology in skin care that outperforms moisturizers and protective barrier creams by restoring the protective qualities of the outer layer of skin while enabling it to regain its natural oil and moisture balance. 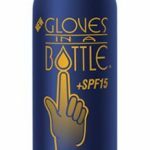 Instead of attempting to replace natural oils and moisture with artificial ones, as conventional moisturizers, lotions and skin creams do, Gloves In A Bottle bonds with the dead skin cells of the outermost layer of skin to create an ‘invisible shield’ that works like an invisible pair of gloves. This ‘invisible shield’ helps to retain natural oil and moisture, allowing your skin to heal itself. 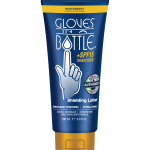 Gloves In A Bottle helps to prevent the loss of the natural oil and moisture which protect the deeper layers of skin, leaving the skin soft and supple. Gloves In A Bottle keeps the outer layer of skin functioning so well that it can breathe and perspire naturally. 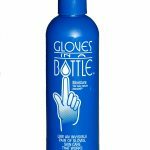 Because Gloves In A Bottle becomes part of the outer layer of skin itself, it doesn’t wash off like conventional lotions or moisturizers. It comes off naturally with exfoliating skin cells. For continued protection, just reapply every 4 to 12 hours. Works great for mothers, teachers, nurses, gardeners, painters, construction workers or for any profession where skin moisture and protection are important. Du må være logget inn for å legge inn en omtale.